Vineet Kanabar is Marketing Director at The Viral Fever. 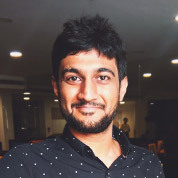 In his current role, Vineet drives B2B & B2C marketing for the Contagious network of digital brands – TVF, Girliyapa, The Screen Patti, and The Timeliners. Vineet drives the agenda on communication strategy & marketing campaign design, media & technology partnerships, branded content, PR, content research and development. A seasoned professional in media & entertainment, Vineet’s work at TVF has grown the network’s monthly audience base to over 50 million people, winning several awards for content creation & marketing in the process. In the fast-paced world of digital entertainment, Vineet is the go-to guy at TVF to represent consumer behavior and insights to content creators & brands. In 2018, Vineet was recognized as the Marketing Professional Of the Year at the CMO Asia Awards at Singapore. Prior to TVF Vineet led Digital Strategy & Buying at PHD on the Cannes Lions winning Unilever Team, and worked as a Communications Consultant for the Govt. of Gujarat. Vineet’s contributions to the projects have won him laurels like 50 Most Influential Global Youth Marketing Leaders’ by CMO Asia & World Federation of Marketing, ‘Content Marketing Rising Star’ award by The Guardian & Outbrain and India’s Best Digital Strategist by BusinessWorld magazine. Vineet is a mechanical engineer from the National Institute of Technology, Nagpur, and a Mudra Institute of Communications, Ahmedabad (MICA) alumnus. He is also a visiting professor for Digital Marketing & Analytics at NMIMS, and Celebrity Management at WeSchool.